It’s a good thing Valley folk haven’t been distracted by things like Great Streets or Vision Zero meetings the last couple of months so that we can finally show up to something meaningful. 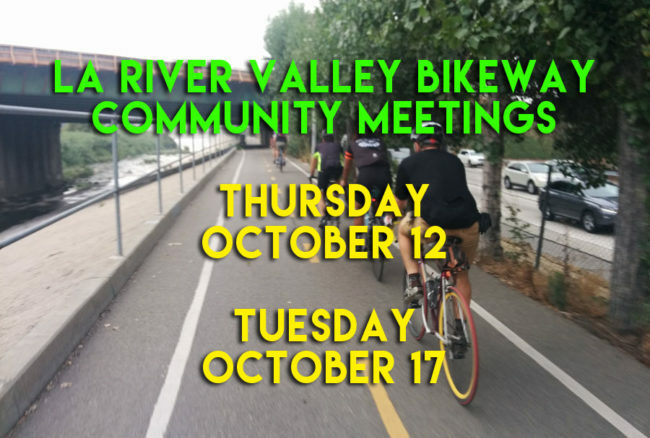 The LA River Valley Bikeway and Greenway project is starting up their next round of community meetings starting Thursday night. As many know, this could be the signature bike infrastructure project in the 818 linking Universal City to Canoga Park via the LA River. While portions mainly on the westside already exist, the remaining segments will be built largely from funding passed by Measure M last fall. So if it sounds like everything is taken care of, then why would it be important to show up? It’s safe to say I’m skeptical about the execution of this project as already there were a number of at grade crossings indicated in earlier drawings. Seeing how LADOT loves having cyclists and pedestrians wait minutes for a push button signal to stop cars, the path may function more like a dog park than a viable commuting option which should be the end goal. You can decipher the problem from the sweat coming off the engineer’s faces trying to find viable solutions to a project that looks underfunded. 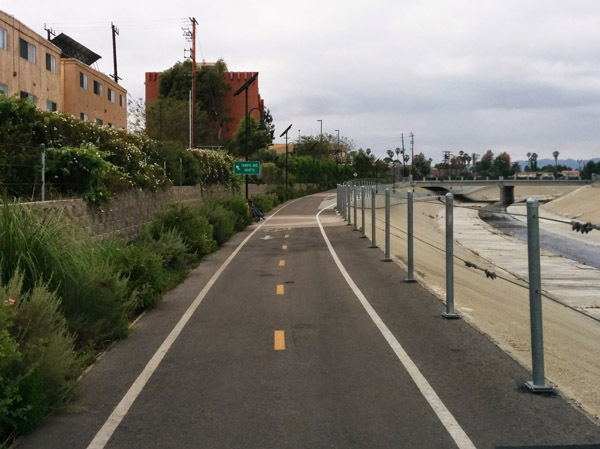 The hope of riding uninterrupted along the river, like the Elysian Valley or Winnetka portion of the path is a dubious one, but it’s important to make sure whatever infrastructure is added is well executed. 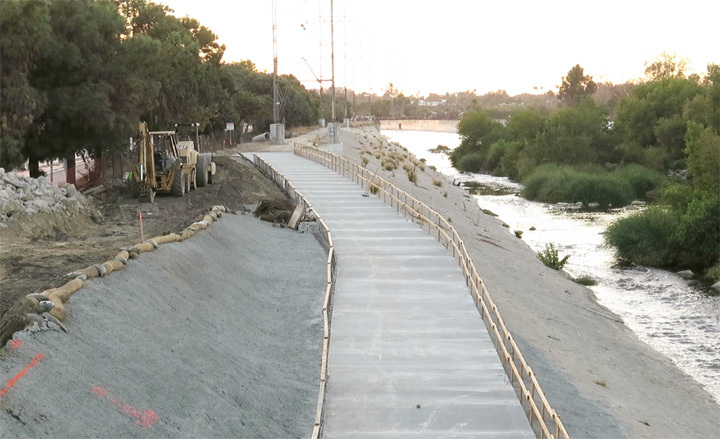 We have an LA River Bikeway already in the Valley!…just not much of it. You don’t need to be an engineer to figure out going over the 405 is problematic. It’s not just the distance, but the space to construct such a bridge next to Castle Park makes this a costly proposition. I have some ideas, but I’m going to have a look at these new schematics before I chime in. And oh yes, representatives from the councilmembers whose districts align the river (Krekorian, Ryu, Koretz, Blumenfield and Martinez), so have fun asking when are our non-river improvements coming. The Riverside Bridge portion in Griffith Park is coming along. There are two meetings both on the lovely street of Vanowen, one in Winnetka and the other in North Hollywood. The presentations will be the same, so if you show up to both, I’m not giving you a gold star.